Sun…sand…shopping – welcome to the marvel of the modern world – Dubai! The captain announced our arrival in Dubai and I stared down at the organized array of shimmering lights of this great Emirate. Right at the airport I realized that this is going to be an awesome experience. The floor of the airport is carpeted to give the feel of walking in the desert, and huge artificial palm trees greet you on arrival. All around you are blinding lights and awe-inspiring displays of duty-free goodies. After completing the formalities, we were taken to the Imperial Suites hotel, where we would be staying for the entire duration of our trip. On the way to the hotel, we witnessed the amazing skyline of Dubai. All the hi-rises displayed a multitude of colors and lights. What a way to start the visit! The next day, we set out for a city tour – starting with Bur Dubai, that is Old Dubai. This area has a distinctive personality with traditional buildings, atmospheric alleyways, and trademark souks (markets). Here, we saw the impressive Jumeirah mosque and the Jumeirah area. 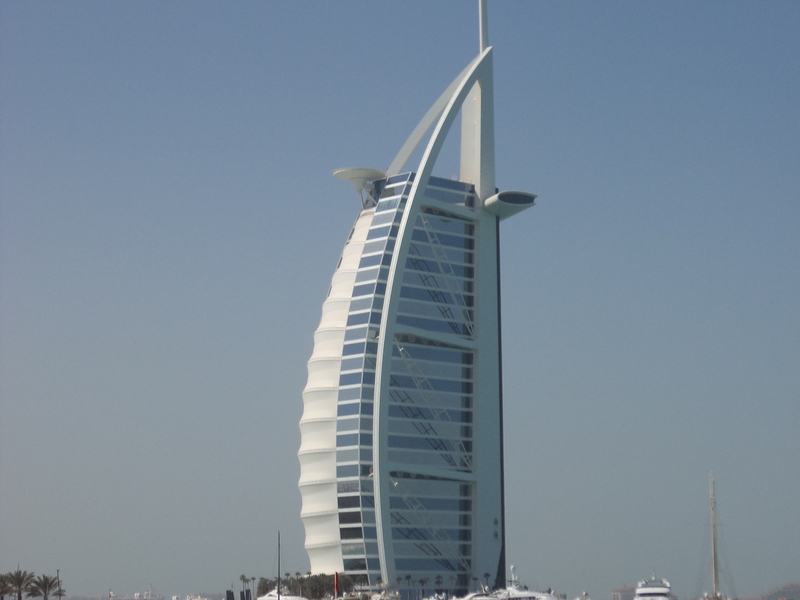 The Jumeirah beach with its clear sea and the outstanding Al Burj was definitely the highlight of our city tour. Dubai is a city of skyscrapers, incredible highways, and a-maz-ing cars. Just a drive around the city was a treat in itself. 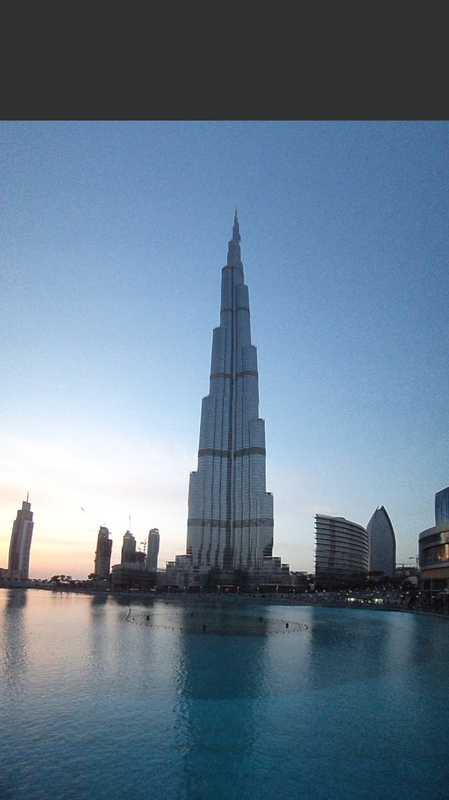 Following the city tour was the most anticipated event of our trip – visit to Burj Khalifa. The entire experience of the Burj Khalifa visit was awe-inspiring. The entry to the Burj is through the Dubai Mall, the largest mall in the world. The mall itself is very impressive, but more about that later. Once you get inside the lobby that leads you to the elevator to the top of the Burj, you are treated to the impressive history of the Burj’s conception, construction, and vision. The elevator takes you up to the 124th floor in one minute (we checked with a stopwatch :D) And then you are blown away with the jaw-dropping sights of Dubai. Stretches of the desert, ending with the boundless seas, and interspersed with man-made structures of hi-rises and highways, you can only marvel at the God and man-made wonders. No words describe the feeling you get when you are At The Top 🙂 (that’s the name of the observational deck at Floor 124). The Dhow Cruise in the evening, with the sumptuous meal, the brilliant city lights, and the cool breeze of the sea, was the perfect end to the magical day. But the best was yet to come. The next day, in the sweltering afternoon sun, we set out for the Desert Safari. This consists of insanely roaring the land cruiser up sand dunes at top speed and 80 degree angles. Every time we feel we won’t be able to take it anymore, the cruiser bounces and speeds over the dunes for another adrenaline rush. After the insane ride, we reached the Desert camp in the middle of nowhere. Here, the calming desert sunset, the Arabic meal, the belly dance, and the Fire Show made our evening the best evenings in Dubai.